but it would be lovely if you grab the button above for your blog. Great Weekend News!~ I would like to partake and I've added the button to my side bar. Thanks for Hosting these fun adventures. Have much JOY in your weekend. Hello :) Love to join the new swap...fun colors! Definitely want to do this one! I will post the button for sure. I would love to join the swap! Button will be posted on the blog. Sign me up! I was so disappointed that I didn't have the required materials for the last swap, then I started reading people's posts of what they used and realized I had those kinds of paper. I received such beautiful cards from the True Love swap, I can't wait to see what people create for this swap. The last making was so much fun, so please, dear Kimberley, let me join this new fun swap, too. Thank you once again for being such a kind hostess! As soon as I am back on my PC (am in IPad mode now), I'll post your button! I am sorry I can’t participate in your swap this time, but I had to leave comment as those pieces are gorgeous! Kimberly Dear I am late. Am I too late to participate? I would like to if possible. Pink, Black and Bling...Oh Yeah!!! I would love to join in on this swap, please count me in. Hope it's not too late to sign up for this swap! Playing around with my pinks & blacks - fun! 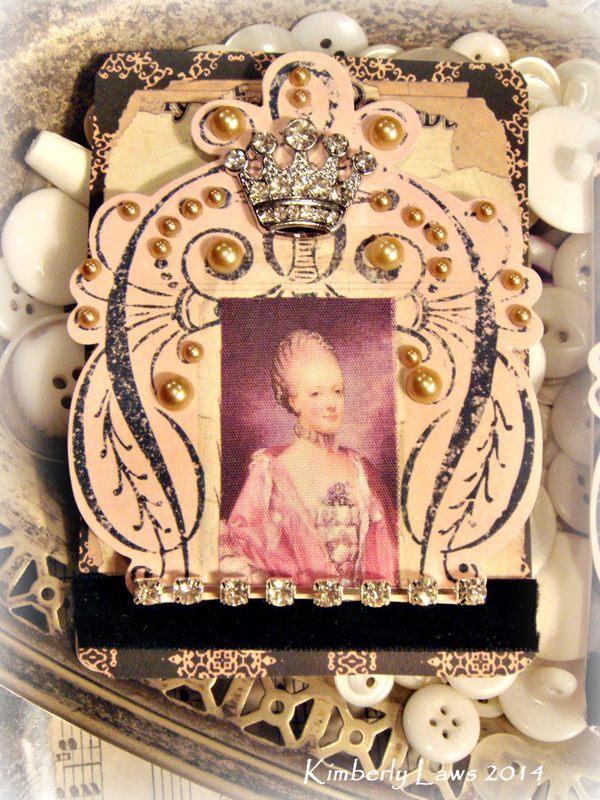 Love my Vintage Paper ATCs! Thanks for hosting these swaps! Bling is on its way... The cards are mailed! Phooey! I guess I missed it! Cant wait to see the pics on how they turned out! I mailed out the ATC'S this morning. I love all of the cards I got in the swap. Thank you ladies!